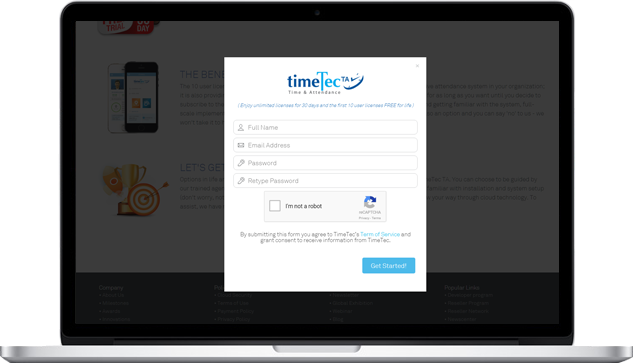 Deploy TimeTec Solutions For FREE to better operation. with your NPO registration proofs. 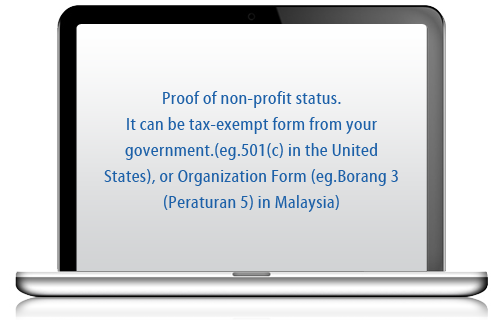 Once the details have been verified, we will contact the NPO for any additional requirements. We will assess the application and our team will contact the NPO to proceed. *Note: The criteria for assessment are based on our discretion. Over the years, TimeTec has made donations that help a number of causes, which encompasses from secondary education institutions, religious societies to human right's activists. It goes without saying that one of our core values in this organization is to foster the culture of giving, to lend a helping hand to those who need it the most. And now, we are looking forward to go beyond providing financial support to nonprofit organizations through our solutions.